In Parts 1 and 2, I talked about what was going on in music in 1997 (in short: lots of death). In my life, things were much more upbeat since it was my final year of university and the wide world beckoned. I waited until my graduation ceremony in early 1998, then took off on a two-year working holiday. Before that, I spent the summer of '97/'98 working for the music retail chain that'd employed me for the previous couple of years. But, there was a catch: the company was going out of business and so, store by store, it started closing down operations. Some of that process was fun for me: cheap CDs in going-out-of-business sales, extra shifts packing stores up. Some wasn't so enjoyable: customers could only use their gift vouchers if they spent the same amount in cash on top of it, which obviously didn't go down well. It was a side of the music industry I wasn't expecting to see - and one that would become all too familiar a decade later with the rise of downloads and online retailers. Number 48 "Encore Une Fois" by Sash! He came out of nowhere to land three back-to-back number 2 hits in the UK - and the good thing about Sash! (real name: Sascha Lappessen, but actually a trio of producers) was that those tracks didn't all sound the same (or even have lyrics in the same language). Debut hit "Encore Une Fois" was quickly followed by "Ecuador" (number 50 on this list) and "Stay" (number 76), with each song having its own style and distinct featured vocalist. Plus, the German dance act also brought the exclamation mark back to the charts for the first time since Snap! Just when you thought you'd seen the last of Hazell on my year-end countdowns, this unexpected remix of her debut hit, 1984's "Searchin' (I Gotta Find A Man)", gave the track an energetic makeover. Hazell recorded new vocals for the revamp, but, alas, it performed about as well as her other singles since 1989 had. Up until 1996, Obsession had almost exclusively released cheesy cover versions of songs like "Without You" and "The Crying Game", but "Shine" was an original track that proved there was more to the brains behind Almighty Records (who also released remakes under the names Deja Vu, Respect and Abbacadabra) than it would seem. Although self-penned tracks like "Shine" didn't set charts alight, the Almighty team would remain a force in handbag and commercial dance music for years to come, becoming the go-to production team for remixes of pop hits around the turn of the century. We saw the original version of this Stock and Aitken production on my 1996 countdown, but following the Australian success of "On The Bible", "No Surrender" was given a remix for its release here. A much faster version, it unfortunately wasn't able to turn the song into a hit for the group and the third line-up disbanded not long after. I always associate this club track with other mid-'90s songs like Armand van Helden's "The Funk Phenomena" and CJ Bolland's "Sugar Is Sweeter" which relied heavily on instrumental hooks and minimal lyrics - but the difference is: this song makes one of my year-end top 100s. I know little more about Hysteric Ego - other than the fact that they were a duo (Craig Campbell and Rob White) and they had a couple of unsuccessful follow-ups. Making great use out of a sample from The Dream Academy's 1985 hit, "Life In A Northern Town", this debut release by British trio Dario G also came with an eye-catching and expensive looking video - which, as should be obvious from many of the YouTube clips on this countdown, was a rarity for a dance track. "Sunchyme" was Dario G's main claim to fame, although the World Cup-themed "Carneval De Paris" received some attention in 1998 as did the Cranberries-sampling "Dream To Me" in 2001. One of many singles I discovered after the record store where I worked received a copy and I chucked it on the stereo to see what it sounded like. Little did I know then that the guy behind Plutonic, Stephen "Beanz" Rudden, was also part of the UK Eurovision entry Love City Groove in 1995. "Addicted" received a bit of help thanks to a piano house mix from Strike, who were themselves still releasing singles in 1997 like "I Have Peace" (number 130 on this list). It's not as well known as their other hits, "Wrap Me Up", "Don't Give Me Your Life" and "Saturday Night Party", but this final single from the Italian dance act's self-titled album followed more or less the same formula and I, for one, was satisfied with that. This was more or less it for Alex Party, although a couple of random tracks seem to have emerged in subsequent years. After becoming a household name (well, in certain households) thanks to his remix of Everything But The Girl's "Missing", Todd Terry struck while the iron was hot and enjoyed some hits under his own steam in 1997. Well, he did have help - in this case from '80s singer Shannon (famous for "Let The Music Play") and on "Something Goin' On" (number 63 on this list) from divas-for-hire Martha Wash and Jocelyn Brown, who'd also provided vocals on his version of "Keep On Jumpin'" in 1996. Taken from the soundtrack to the first big-screen adventure of Rowan Atkinson character Mr Bean, this is actually my favourite song by the Irish boy band - probably because it was a change of pace from their usual ballad cover versions. Those remakes continued in 1997, with Ronan and the others taking on Tracy Chapman's "Baby Can I Hold You", which doesn't make my top 200 for the year. You may have noticed I have a slight thing for commercial house tracks with big wailing female vocals - well here's the exception to the rule, performed by British male singer Danny Campbell. Naturally, my preferred version of this track isn't on YouTube - that being the 7" mix by fellow Brits Shiva (who we saw back on my 1995 countdown). The lead single from what was meant to be a new studio album but ended up being a remix album with a few new tracks actually dated back to the sessions for Dangerous. Jacko's last UK number 1 and also a top 5 hit in Australia, "Blood On The Dance Floor" wasn't a patch on what he'd done before, but the Tony Moran remix breathed new life into the song and, well, 1997 wasn't exactly one of music's best years so it probably ranks higher here than it would in other years. Featuring an original member of Simply Red (Tim Kellett) and a member of Nightmares On Wax (Robin Taylor-Firth), trip-hop trio Olive eventually found success in 1997 with a remix of this, their debut single from 1996. "You're Not Alone" topped the British singles chart and was followed by "Outlaw" (number 60 on this list), which featured a great remix by Space Brothers. The album, Extra Virgin, is one I still listen to, as is second album Trickle from 2000, although by then, the group was down to just Tim and vocalist Ruth-Ann Boyle. 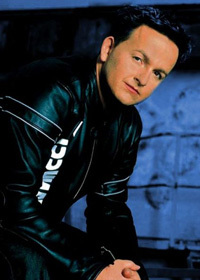 In 1997, Jake Williams' one-single-a-year run of hits came to a close - except this track wasn't that much of a hit, only reaching number 18 in the UK. I actually like "Close To Your Heart" more than bigger singles "Son Of A Gun" and "You Belong To Me", probably because it has more lyrics than just repeating the one line over and over. She was the singer of "Serious" (the song Strike used as the basis for "U Sure Do") and they were a trio of DJs/producers (Julian Jonah, Marc Hughes and Marco Funari) who released this one-off track on the Ministry Of Sound label. One of those tracks like Michael Gray's "The Weekend" that somehow captures the excitement of going clubbing on, well, the weekend, it was one of the last great vocal house tunes of the '90s as dance music headed off in different directions. There's a link to the radio edit in the song title above and an extended version of the same mix below. In the final part of this countdown, Sweden's Cheiron studios really start cranking out the hits and the reinvention of a famous Australian sibling. I had the video for the Ace remix of Deuce's 'No Surrender' on youtube, but decided to remove it after receiving a copyright strike for a video of another of Stock/Aitken's productions for Love This Records (Mobius Loop's 'Sleeping In My Car', coinciding with the official Mike Stock youtube channel. Youtube's copyright detection system is a mystery though... My upload of Monaco's 'Sweet Lips' video was blocked worldwide, yet the Chart Show airing of it linked in this entry remains! I think that until a record company/copyright owner puts the video on themselves, there should be no issue with people posting clips. Once they do, sure, take the other clips down, but I don't think there should be a strike given until someone refuses to take a clip down. That would mean someone like you could keep us all happy until the record companies sort themselves out, and then I'm sure you'd oblige when they did.